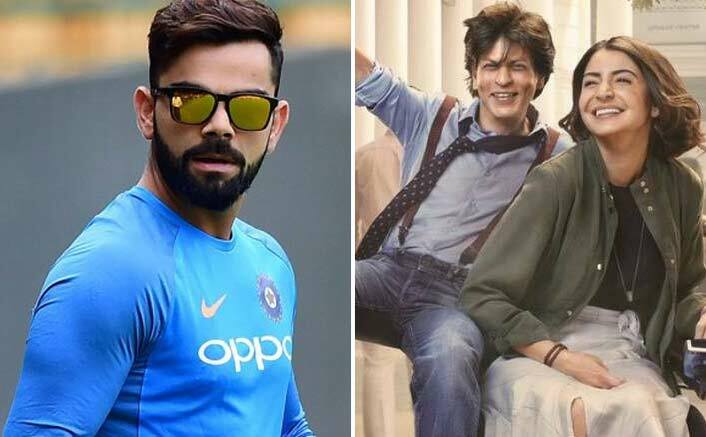 Zero Movie Review: Husband Virat Kohli Has To Say This About Wife Anushka Sharma! Home » Bollywood News » Zero Movie Review: Husband Virat Kohli Has To Say This About Wife Anushka Sharma! Anushka plays a specially-abled scientist in the Aanand L. Rai directorial that stars Shah Rukh Khan as a dwarf. Zero Movie Review: India skipper Virat Kohli says he loved his wife and actress Anushka Sharma’s performance in her latest film Zero, which has received a mixed response from the audience and critics. “Saw ‘Zero’ and loved the entertainment it brought. I enjoyed myself. Everyone played their parts well. Loved Anushka Sharma’s performance because I felt it was a very challenging role and she was outstanding,” Kohli tweeted on Sunday. Apart from Kohli, celebrities like Anurag Kashyap and Swara Bhasker have also shown support to the movie that has received flak from some for its “flawed writing” and its second half. “Really really liked ‘Zero’. Barring one sequence where all the stars gather post interval, which disconnected me. No easy resolutions, stretching the imagination… it’s really a brave film. It engaged me throughout. I really feel its the people’s expectations that disappoints them,” Anurag tweeted. Swara, who worked with the director in films like Raanjhanaa and Tanu Weds Manu, loved every second of Zero. “Aanand, SRK, (writer) Himanshu Sharma redefine what hero and heroine are for Bollywood. The hero a dwarf and a loser (cocky though), and the heroine on a wheelchair; and the film refuses to let us see them through the prism of their disabilities,” she tweeted. Zero Box Office Collections Day 3 (Early Trends): Is A Crash On Cards? Zero Box Office (Lifetime): 100 Crore Possible? A Close Decision By You Guys! Screenwriter Kanika Dhillon, known for films like Kedarnath and Manmarziyaan, “dedicated” a note to the screenwriters and told them “don’t dwarf your dreams”. She praised Himanshu, a National Award winner, for starting many new trends in story telling. She lauded him for not playing safe. Youngest Nobel Prize laureate Malala Yousafzai was also one of those who heaped praise on Shah Rukh’s performance in Zero.